After completing yoga school, we pretty much hightailed it from Northern California to Glendale, Arizona for our solar install. One stop we made was at The Lakes RV & Golf Resort in Chowchilla to spend a few days with Robin and Jeremy of Live, Breathe, Move. While it was wonderful to catch up with them and play a round of golf, there wasn’t anything about the area that would bring me back. And…I really want to get this blog moving so you’ll just have to read their blog post if you’re curious about the park. You can read all about the solar install here. Once we were ready to roll again we asked Ron, our installer at D&R’s Family RV,where we should head to test out our new system. 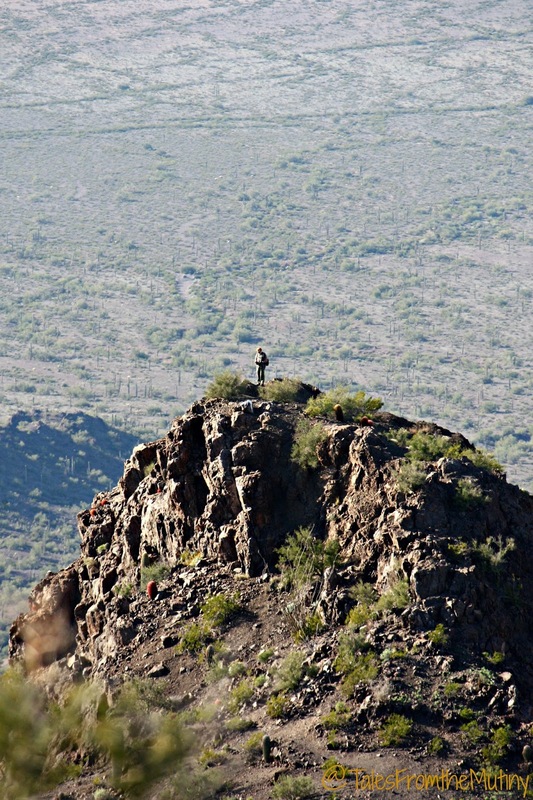 He recommended Picacho Peak State Park, about 85 miles south of his shop. We felt it would be an ideal spot since we’d still be close enough should something in the system go wrong yet was in the right direction since we already had reservations in Bisbee for the holidays. As we approached the exit for the park I was a little worried. It looked so close to the highway and there were no towns nearby. It was also clearly a desert area…and appeared pretty desolate from our perspective…until we got closer. And then we saw how beautiful it was. 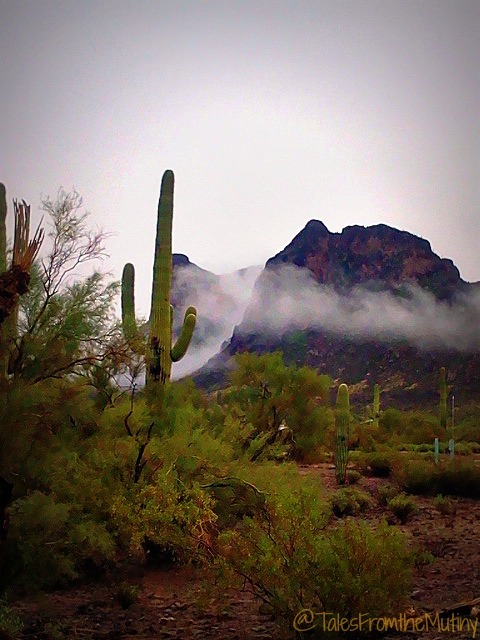 Picacho Peak State Park is actually a little piece of Sonoran heaven. 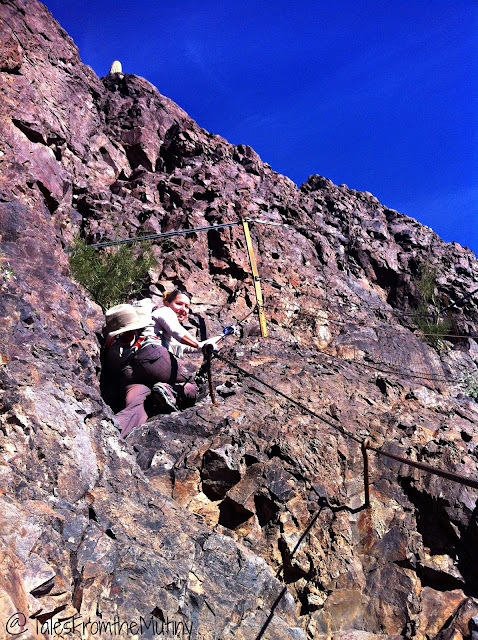 It’s western side is unspoiled desert and the 1,500 peak is a stunning centerpiece to the park. And the campground? Well, it’s one of the nicest we’ve been to in our travels. Even though the desert setting means other RVs are likely going to be within view there were plenty of cacti and space between the sites that it felt private. And the sites? First of all, they’re huge. Seriously, huge. Second, they are electric only (water and dump station on site). 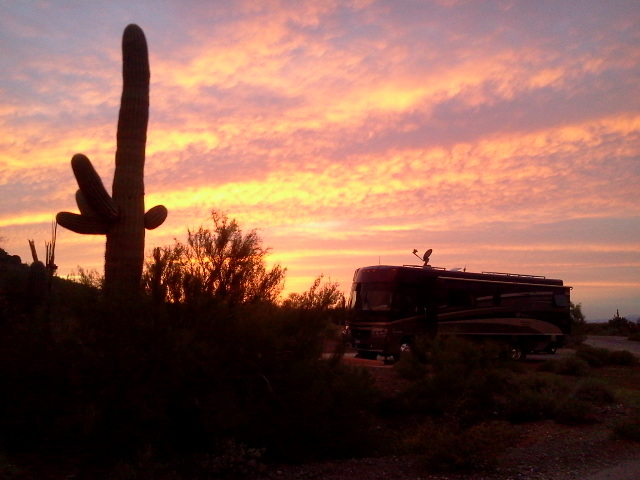 And third, they all have pretty amazing views of the sunrise, sunset and Picacho Peak. I’m not sure you could go wrong but our site, A17, was fantastic. 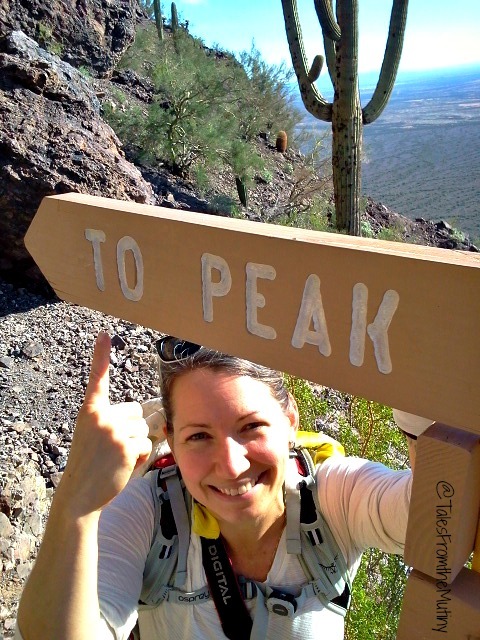 The other amazing part of Pichacho Peak are the hikes. Since there aren’t a lot of distractions nearby (aka no towns, restaurants, coffee shops, etc.) it’s the perfect place to stretch your legs for a nice stroll through the desert or to really challenge yourself to climb the actual peak. We did both. 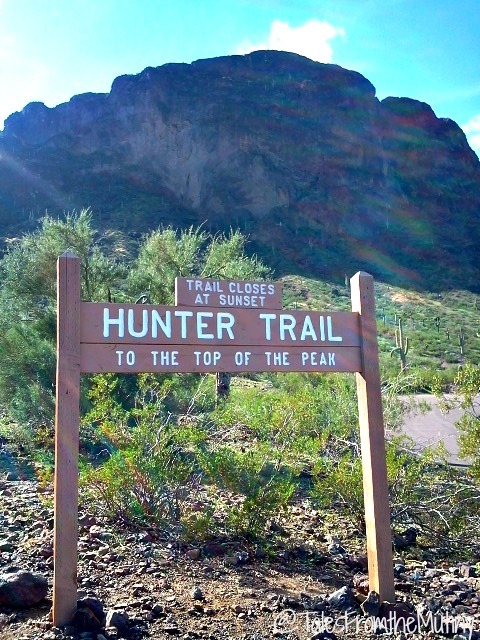 Hunter Trail was recently named the “Best of Phoenix” Winter Hike and I’d have to agree. 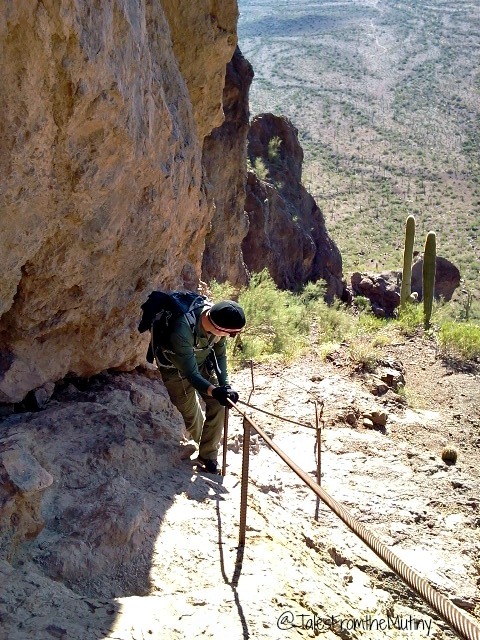 It’s a 2mile (one way) hike to the top of the peak that requires the use of cables, wooden planks and ropes. It’s pretty imperative you wear gloves and bring a lot of water. This is a difficult trail which is, literally, uphill all the way to the top (and just as scary coming down). 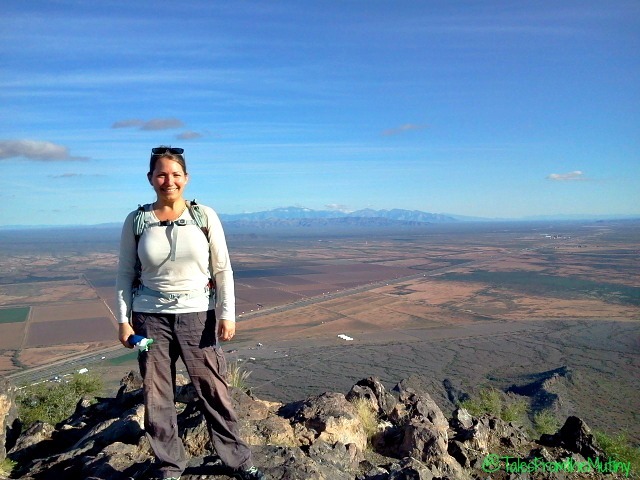 The link above takes you to one of my favorite hiking websites, Alltrails, where you can read reviews and find other nearby trails. Little did we know that THIS wasn’t why we would need gloves. I remember thinking…hmm, this isn’t so bad. Once you reach the saddle things get challenging quickly. AND, you descend first…all the while knowing you’ll have to make up for every foot you drop down. Did I mention it gets steep? Or that the trail sometimes doesn’t even resemble a trail? 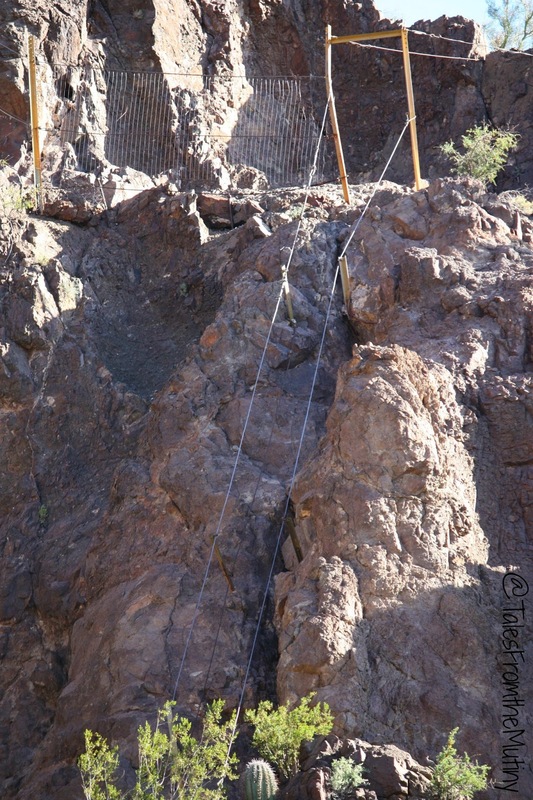 Or that sections of the trail are actually vertical? It’s steep. And yes, it will test your fears. Smiling or grimacing? I’ll never tell. It may not be Everest but at least I made it to the top of something! Clark on top of Lesser Peak. This hike is still one of our favorites. For Clark, he prefers when uphill sections hold a challenge…and this one did not disappoint. 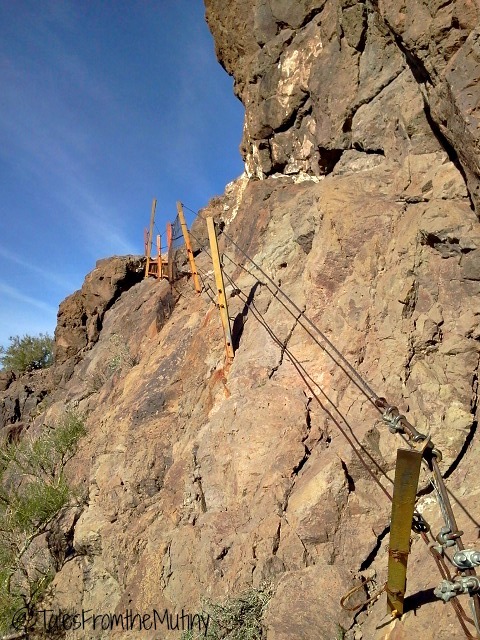 For me, well, I have a really big fear of heights believe it or not so this trail challenged me mentally more than physically. And it left me with a huge sense of accomplishment and nice boost to my self-esteem. 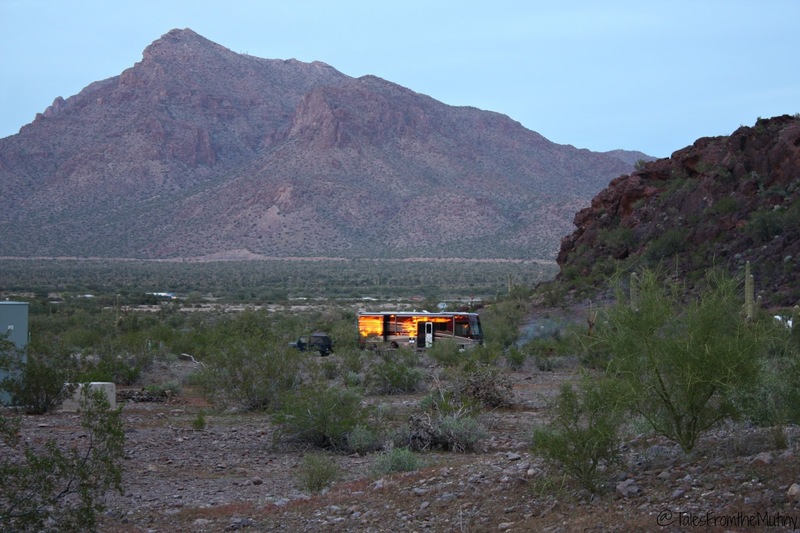 This lifestyle already pushes most people out of their comfort zone but your RV can easily become a safety net…like a snail shell where we climb inside only to come out on occasion for food. 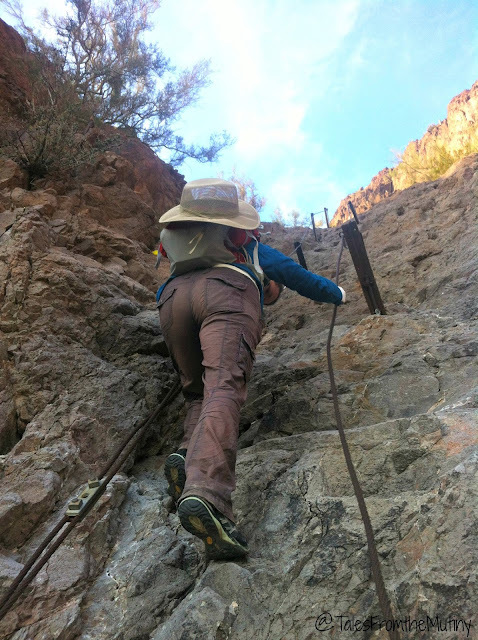 I encourage everyone to go explore and to challenge yourselves whether physically or mentally (or both). 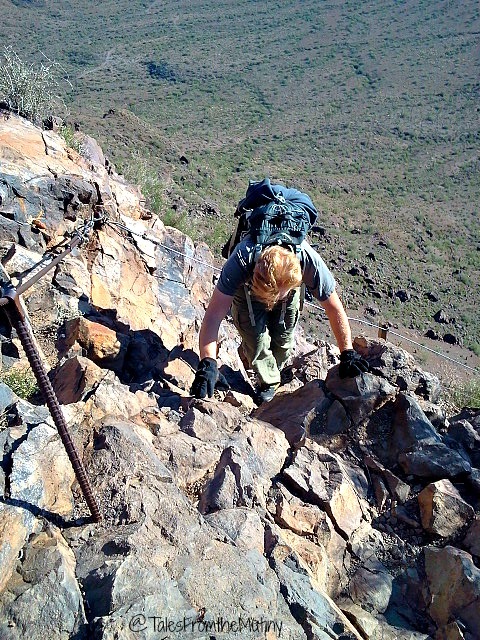 We did Picacho Peak a couple months ago for the first time. 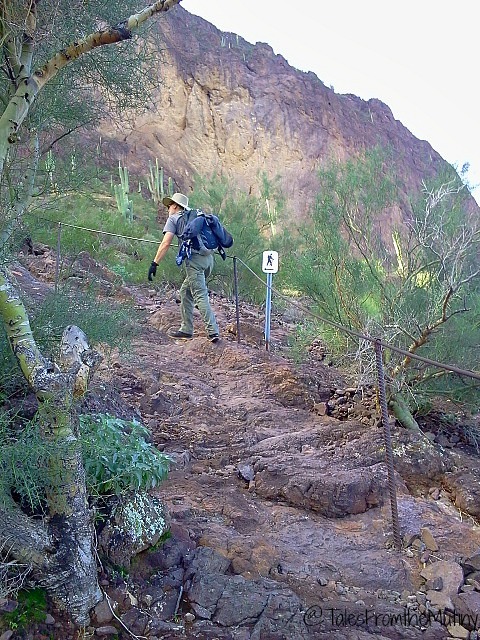 We walked from the campground to the Sunset Vista Trailhead and did the three mile trail to meet up with the trail to the top. We then returned by the Hunter Trail and then walked another mile back to the campground. The seven miles are much longer when this type climb.